Hamstrings are three muscles at the back of the thigh. Tight hamstring muscles are common and they may be more prone to severe strains. In a lot of cases you can feel tightness or a cramp like sensation in the back of your upper legs. You may instinctively try to massage or rub the area to ease discomfort. If your muscles have tightened up, then the blood will have been squeezed out of them and therefore are unable to work to their full potential. The hamstrings span the knee and hip joints, so tightness in these muscles can contribute to other problems, such as knee pain. Hamstring tightness might also pull on the hip and pelvis, causing them to rotate, which will in turn result in hip or back pain. Another common problem can be sacroiliac joint pain, which could in turn could be responsible for postural problems. What can help tight hamstrings? As with any muscles, they need attention. To get good and lasting relief for tight hamstrings, continuity is key. 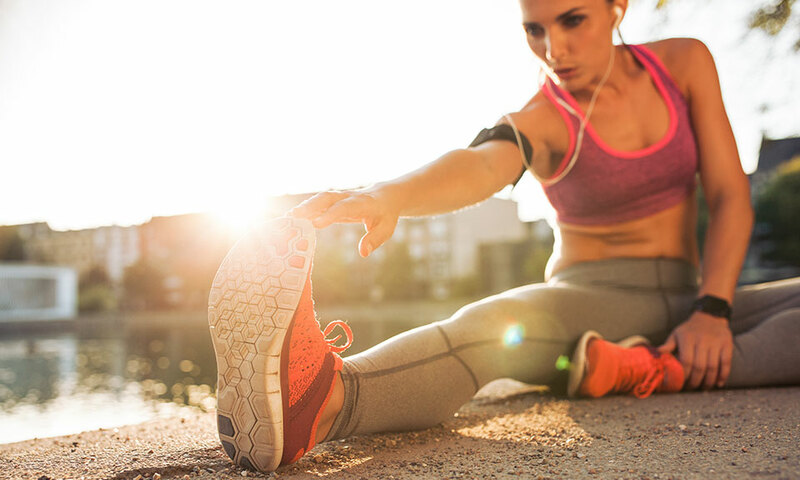 Make sure you are doing your hamstring stretches at least twice a day, gently gently ease them out. Take care not to be too aggressive, especially in the morning before the body has had a chance to warm up. Sit on the ground, and either have both legs out straight in front of you, or one leg bent inwards (as in the photo). Fold over from the waist, and reach your arms over the straight leg(s). Hold for ten seconds. If you are stretching one leg, switch legs for ten seconds and repeat. Other great ways to help, apart from stretching, are compression tights and half tights. 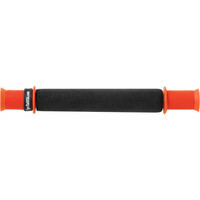 These are so effective at combating tight hamstrings. 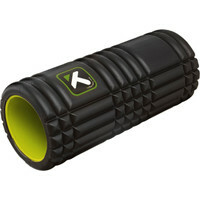 They get the blood pumping to the hamstrings and quads, enabling the blood to rush in and encourage the healing process. 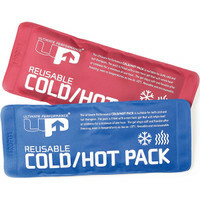 Another great product is a Cold/Hot Pack. Again the ice will encourage the blood flow to the hurt area, which in turn speeds up the healing process. Sports massage is another great way to help ease the pain. At the time, you may want to scream at the masseuse as he/she gets into the pain, but believe me, when it's over, you come out floating on air. I find Shiatsu Massage is particularly effective for tight hamstrings, since it works on the pressure points. 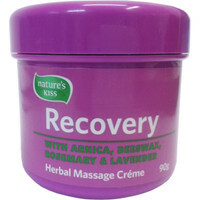 Another idea is a recovery cream. Once you get back from your run, rub this in straight after a shower. Let the active ingredients do their job, getting straight into the muscles. Try out Nature's Kiss Recovery Cream, U.P. 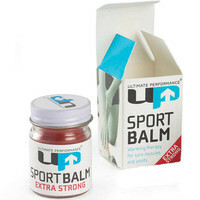 Ultimate Performance Sport Balm or Biofreeze gel. 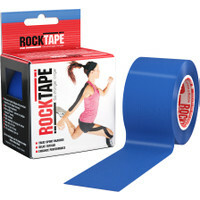 Rocktape is such a good product. It is not only ultra strong and light, but also a lot more comfortable than an average support, as it has just the right amount of elasticity to make it super comfortable. Invest in a massage aid. The Grid is so effective in relieving tight hamstrings. Or if you travel a lot, why not pop The Stick in your suitcase. If you are traveling light, then go for the Trigger Point Massage Ball. Find out more about Trigger Point Massage products in this review of the Grid. If you give your tight hamstrings all the attention they need, then the tightness will disappear and you will fly in your training sessions. So, have fun! This general information is not intended to diagnose any medical condition or to replace your healthcare professional. If you experience any pain or difficulty with the exercises or advice, stop and consult your healthcare provider. I wonder if you can help? I have put my name into the London 2014 marathon ballot and have started the training regime for beginners as I think i will need a lot of time to gain reasonable fitness!!. I haven't run before but am managing with the regime, however, I am finding that my calves ache all the time when i am jogging (from the time I leave the house to the end of a 30 min jog). It is starting to impact on my enjoyment. It is pure determination that gets me through the session. I don't get shin splints and my thigh muscles are fine. Congrats with taking up the Marathon challenge! You are doing so well by giving yourself enough time to work up to the miles. Tight calves can come from a wide variety of reasons. A few things to look at are, how long you have had your shoes and are you stretching even on the days that your not training? I'm not sure where you are based, but I have two thoughts as to how we could help. In our London shop we have free physio drop-in every Tuesday noon-2pm. Plus we are starting a Beginners' Running Course.